Five of the six children of Jennifer and Sarah Hart were so small in 2013 that they were not listed on growth charts, according to documents obtained by the Oregonian and other news outlets. Child welfare officials in Oregon knew the family that plunged off a California cliff last month in their SUV had been investigated when they lived in Minnesota, but were "unable to determine" whether there was abuse in the home. "There is insufficient data to conclude that there is reasonable cause to believe that child abuse or neglect occurred," Oregon officials found. The fatal crash took place just days after authorities in Washington state opened their own investigation following allegations the children were being neglected. The family had moved there last year from Oregon. Records obtained by news outlets, including KOIN in Oregon, found that child welfare investigators first tried to contact the family on July 19, 2013. They didn't find anyone at home and left a card asking the family to contact a caseworker. Sarah Hart later responded, saying the family was soon going out of town. She denied that the children were undernourished. Two people contacted by investigators expressed concern that the Harts limited food for the six children and said the the kids were forced to lie on the ground in a dark room for hours at a time. Teachers stopped telling the Harts that their kids took food to school in order to keep them from being punished. A family friend said Jennifer coached the kids to act a certain way, according to the findings obtained by KATU. In addition, the children were "made to look like one big happy family, but after the photo they go back to looking lifeless." Growth charts showed all but one of the children were below the chart for height and weight, though the doctor said there were no concerns for any of the kids, because there were no records of their previous sizes. At one point a social worker said that 6-year-old Abigail was the size of a 2-year-old girl, according to the Oregonian. 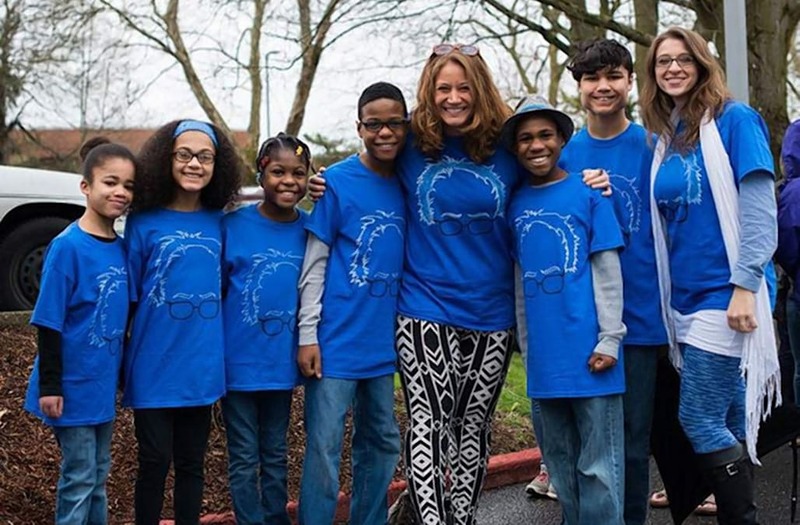 Investigators say Jennifer Hart was drunk when she drove the large family off a Northern California cliff, and they believe the crash was intentional. Jennifer Hart's wife and several of the children had large amounts of a drug in their systems that can cause drowsiness.